I want your shopping experience to be as pleasant as possible and will do everything in my power to connect you with the perfect piece. If you are not happy with your choice when it arrives, please contact me within 14 days of receiving your order and I will be happy to exchange your item without a return shipping fee and free shipping for the return. 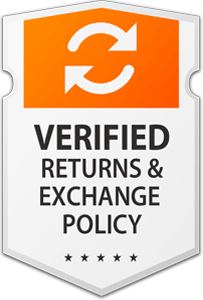 Returns and exchanges 15 days after the delivery date will be charged the shipping fee for the return and for the exchange. No returns will be accepted after 30 days from the ship date. My metal prints are pressed onto aluminum using the sublimation process, where the ink is heat pressed into the coating of the metal, not just printed on the surface, promising extreme durability and longevity of color depth, detail, and luminosity. Our fine art paper is produced to the highest archival standards, acid-free, pH neutral, and made from pure cellulose. Images are inkjet printed with archival pigment inks that significantly enhance visual brilliance and have substantial longevity. generations. Subscribe to our mailing list to receive special offers, event notifications, and sneak peeks of new work!